Online professional development has become one of my “go to” ways to learn. I can’t believe I have been teaching online for 17 years! I began with the Facilitating Career Development (FCD) class when Cathy Van Dyke and I combined the face-to-face class with a “home built” discussion board. This kind of hybrid course was very new then. I have since added online seminars using a learning management system called Haiku LMS. Providing online professional development has become a cornerstone of my business. When I first started teaching online very few people had experience learning online. Now nearly everyone has some experience learning online is some format. A recent survey by the Babson Survey Research Group found that one-third of college students take at least one online class. The 2017 Training Industry Report found that nearly 30% of all training in business and government is done online. As a result, people are comfortable with the reading and writing involved in this learning format as nearly everyone is on some form of social media, uses email, and text messages. Online professional development, elearning (all forms of electronic learning), and mlearning (learning on a mobile device) are all great ways to learn. What I like most about e-learning is the flexibility in “when” I can access what I want. Whether it is an online seminar, webinar, MOOC (Massive Online Open Class), podcasts, or other platforms, I can listen in or engage when I want. That flexibility has become a key part of our lives as most people want ‘what they want’ ‘when they want it’. The ability to break my learning into the amount of time I want to spend is also key. 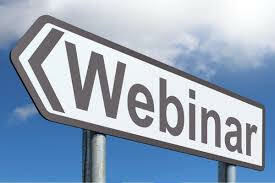 I know that most webinars are about an hour, some podcasts are 20-30 minutes (others are hours long! ), and Ted Talks are typically less than 18 minutes. My time is so important to me. When I am looking to learn something it has to fit into my time slot. For example, I have a number of podcasts I like that are about 30-40 minutes. They fit perfectly into my daily workout time of walking, NordicTrack, weight lifting, or whatever I am doing that day. The third thing I like about elearning is I can choose what I want to learn that day. Some days I am looking for marketing ideas. Other days I am looking for career techniques, or blogging ideas, or simply something fun. Of course, there are some disadvantages to online training and e-learning. The biggest disadvantage is the loss of face-to-face interaction. It can also be easier for participants to disengage or be passive learners. However, contemporary approaches to online learning have responded very effectively to these concerns. Here are my favorite forms of professional development online. I’ve taken a few great online classes. The Science of Happiness through UC-Berkeley, which started with 1000’s of people enrolled for credit, grades, pass-fail, or free and no credit (which is what I did) and ended with many fewer enrollees. It was a fair amount of work to stay current even though I did not do all of the work over the 8 weeks. I highly recommend this class. Another great class I took was Richard Leider’s Life Reimagined, “Discover What’s Next”, as well as one on mindfulness. All were great classes where I learned so much. Videos like Ted Talks and YouTube, are another great way to learn using the technology of video. Although many people would not consider this e-learning, I do because it offers me the ability to learn at my fingertips whenever I choose to. Here are some of my favorite’s. One of my new favorites is “The PR Maven” with Nancy Marshall. Marshall interviews people in the marketing field and talks about the importance of relationships in marketing. Another favorite is “First, you Hustle” which is by Jordan Bell, a career counselor at Columbus College of Art and Design, who gives great advice to CCAD college students. I find that it is beneficial for college students everywhere. Whatever your format is, I encourage you to take advantage of the many online offerings for your own online professional development.